Canadian Wildlife Federation: Survey "Forward to a Friend" CW Magazine Draw! Survey "Forward to a Friend" CW Magazine Draw! Thank you again for filling out our survey. We’d love to hear from you and your friends or family on how we can better support Canada’s wild species and spaces. 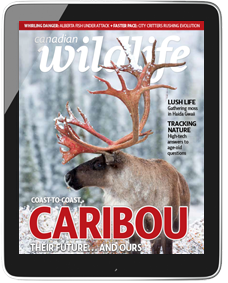 Forward this email on to five friends and get entered into a draw for a free one-year subscription to Canadian Wildlife Magazine! Yes, I have sent this email to five (5) friends or family.